In a survival scenario, spills can waste some of the precious supplies that you have stored. 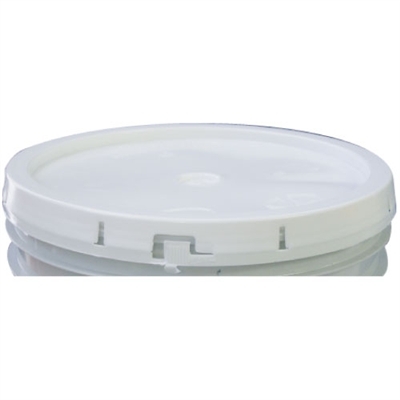 This pail cover securely locks onto 3.5- to 6-gallon plastic buckets and stays reliably fastened in place. The convenient tear-tab lid allows you to quickly grab food or materials in seconds. To remove, simply strip off the tab and lift up the lid. This tear-strip bucket lid can be used to safely keep hazardous supplies away from children or food from prying pests.